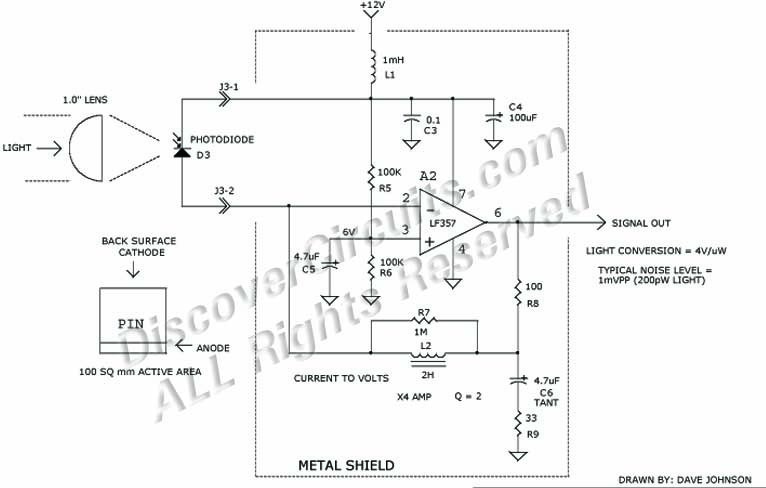 Circuit: 40KHz MODULATED LIGHT DETECTOR __ Circuit designed by David A. Johnson, P.E. If you want even more sensitivity than the above circuit, try this design. When used with a one centimeter square photodiode, you can achieve a range of several hundred feet with a standard TV or VCR remote control module. Note: The LF357 operational Amplifier is no longer available this circuit is for reference only.